Classics are a sure bet for any family looking to enjoy a book together, and audiobooks provide a great way to introduce young readers to these stories — while giving you a fresh look at old favorites. 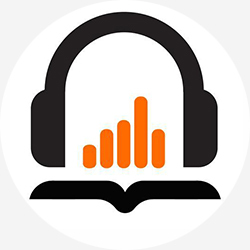 We’ve got a list of some of our most exciting audiobook classics, perfect for sharing the stories you know and love with the next generation. Fairy tales and classics like Charlotte’s Web and The Wonderful Wizard of Oz are iconic and beloved stories that have been embraced by generations of readers. Dive in on a road trip or from the comfort of your living room with these fairy tale collections and classic stories read by star-studded casts, or, in the case of Charlotte’s Web, read by the author himself! Rediscover Hans Christian Andersen's best-known fairy tales, and find new favorites, all brought to life by a full cast helmed by F. Murray Abraham. Young fans of “Frozen” will appreciate its source material, “The Snow Queen,” and familiar favorites such as “The Ugly Duckling” and “The Little Mermaid” will enchant the whole family. Revisit the wonder of the land of Oz with L. Frank Baum’s timeless classic The Wonderful Wizard of Oz, a uniquely American fairy tale that has entertained and beguiled readers of all ages since it was ﬁrst published in 1900. Charlotte's Web is one of America's best-loved and most enduring children's books. Wilbur the pig’s charming innocence and deep friendship with the wise and practical spider Charlotte is endlessly heartwarming, and sparkles more than ever in this edition that’s lovingly read by the author himself. Adventure is calling, especially to your middle graders and older readers, and these thrilling audiobooks will take their eager listeners from the bottom of the sea to the top of the mountain and everywhere in between! An American frigate, tracking down a ship-sinking monster, faces not a living creature but an incredible invention — a fantastic submarine commanded by the mysterious Captain Nemo. Suddenly a devastating explosion leaves just three survivors, who find themselves prisoners inside Nemo's death ship on an underwater odyssey around the world from the pearl-laden waters of Ceylon to the icy dangers of the South Pole … as Captain Nemo, one of the greatest villains ever created, takes his revenge on all society. Buck is a loyal family dog who is stolen from his home and forced into the harsh life of an Alaskan sled dog. As he passes from master to master, Buck goes on an incredible and unexpected journey, even becoming the legendary leader of a wolf pack. Fifteen-year-old Sam Gribley is miserable living in New York City with his large family, so he runs away to the Catskill Mountains to live alone in the woods. As he settles into a hollowed-out tree, Sam learns to live off the land and take care of himself — but he also learns also to balance his desire for independence with the need for human friendship. Sixteen unlikely people are gathered for the reading of eccentric millionaire Samuel W. Westing’s will. This, however, is no ordinary will: it’s a puzzle, and the person who finds the solution will inherit a $200 million dollar fortune. The catch? They also have to find a potential murderer! For readers looking for something more contemporary but with a classic and timeless feel, check out these two great listens. After their father goes missing in a time-travel experiment gone awry, Meg Murry and her little brother Charles Wallace must travel across space and time to rescue him. The digital edition includes an introduction written and read by Ava DuVernay, director of the new Disney film adaptation, and an afterword by L’Engle’s granddaughter, Charlotte Jones Voiklis. Now celebrating its 20th anniversary, If You Come Softly is a story of star-crossed love between Jeremiah, who is black, and Ellie, who is Jewish, after they meet at their Manhattan prep school. Perfect for fans of The Hate U Give, If You Come Softly is a contemporary Romeo & Juliet that only grows more relevant in a country that is increasingly divided. What audiobook classics would you add to this list?